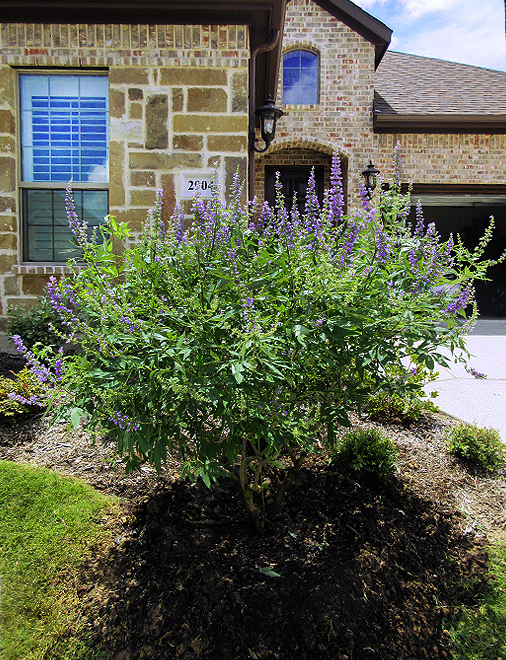 Designated as a Texas Superstar Shrub by Texas A&M University. 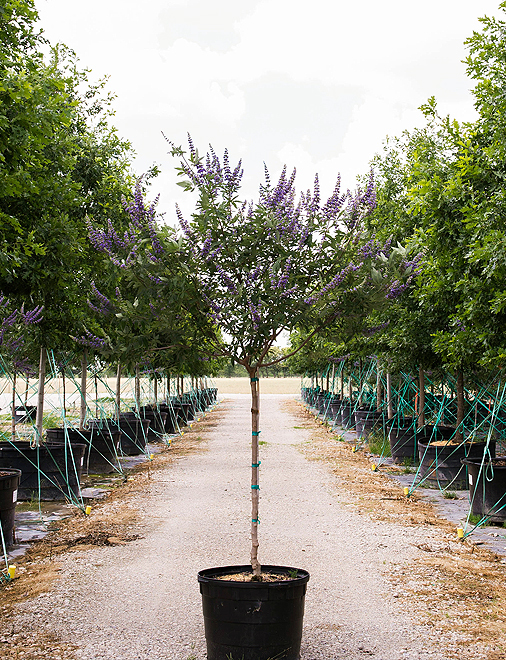 The Vitex ‘Shoal Creek’ has earned a dominant status among the Vitex agnus-castus cultivars and it has several unique qualities that are responsible for this popularity. 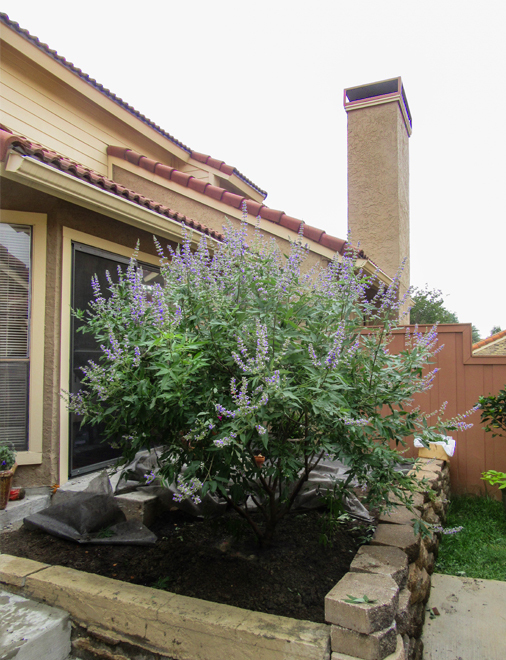 This cultivar of Vitex was selected for it vigorous growth habit, large flower spikes and it produces the best blue-purple flowers. 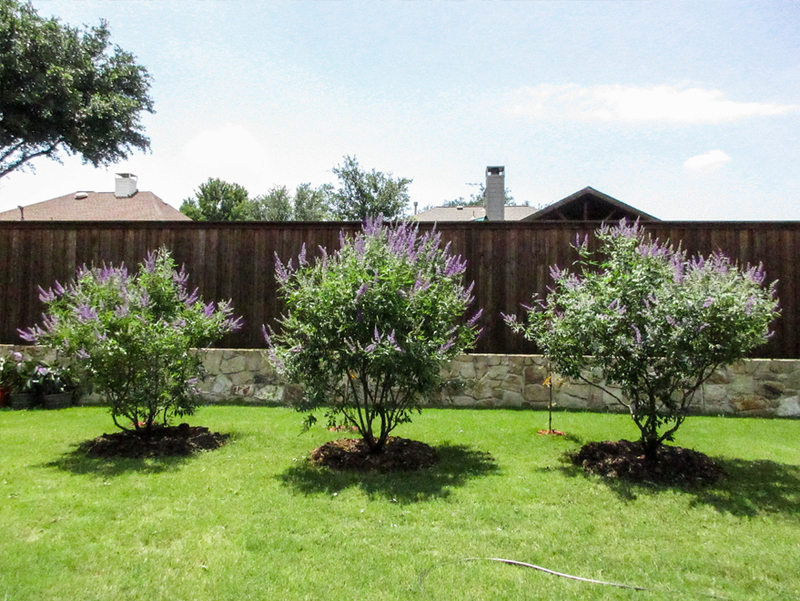 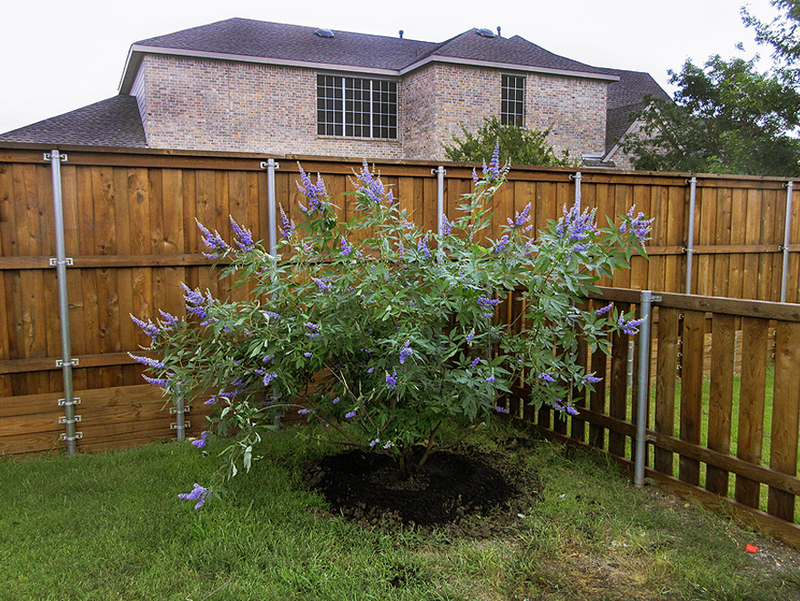 Vitex are large multistemmed shrubs that maintain fairly dense, symmetrical and rounded canopies. 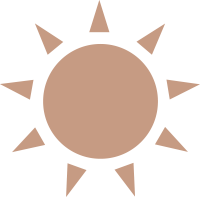 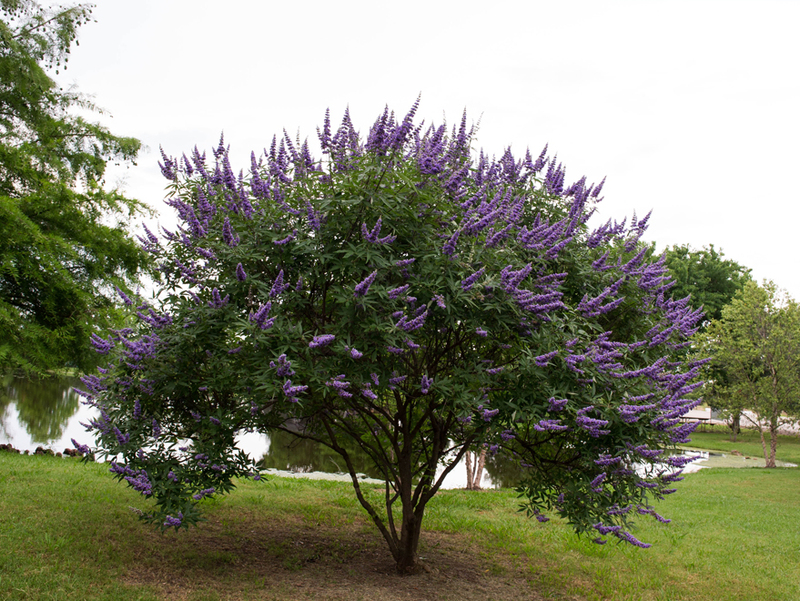 Vitex also have some spring interest because the new branch growth has a showy purple color that turns red-brown and lastly a pale gray color as the branch matures. 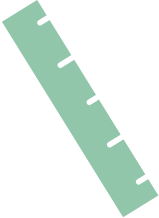 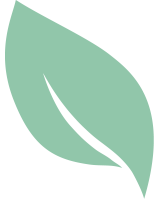 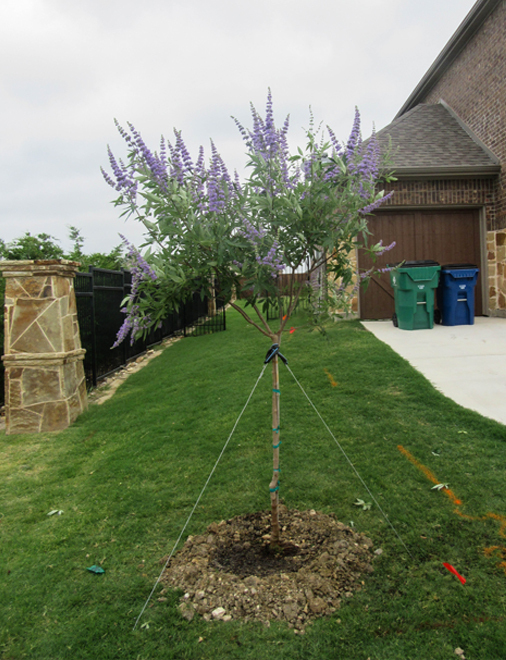 Vitex have medium to fine textured leaves that are 3 to 4 inches long with 5 to 7 leaves per stem. 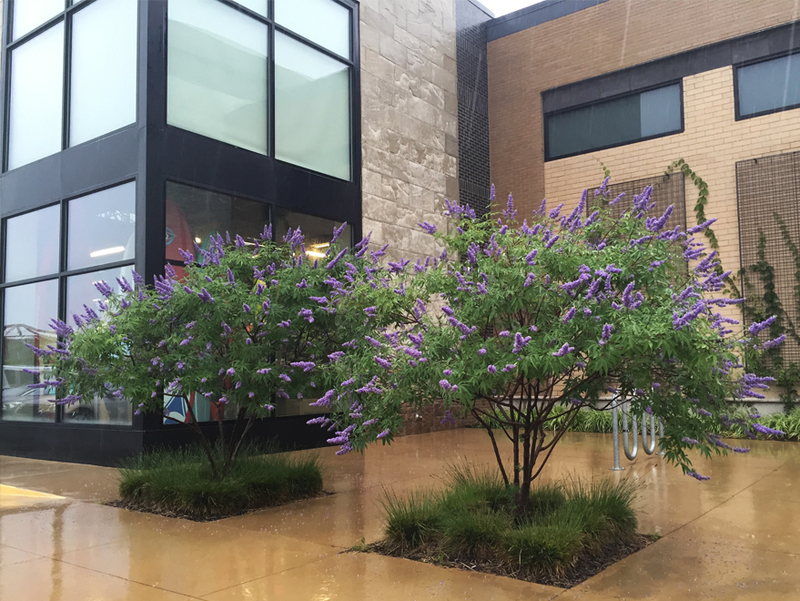 Vitex have a gray-green leaf with a lighter silver-gray color underside and in the fall the leaves develop a purple tint. 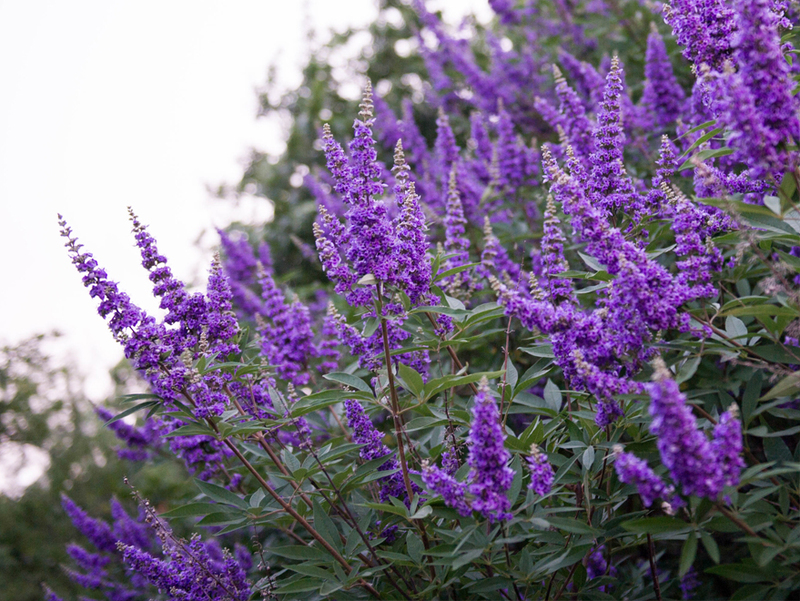 In early summer Vitex begin producing silvery gray buds on the tips of each stem that open to a beautiful display of lavender blue flowers that are extremely fragrant. 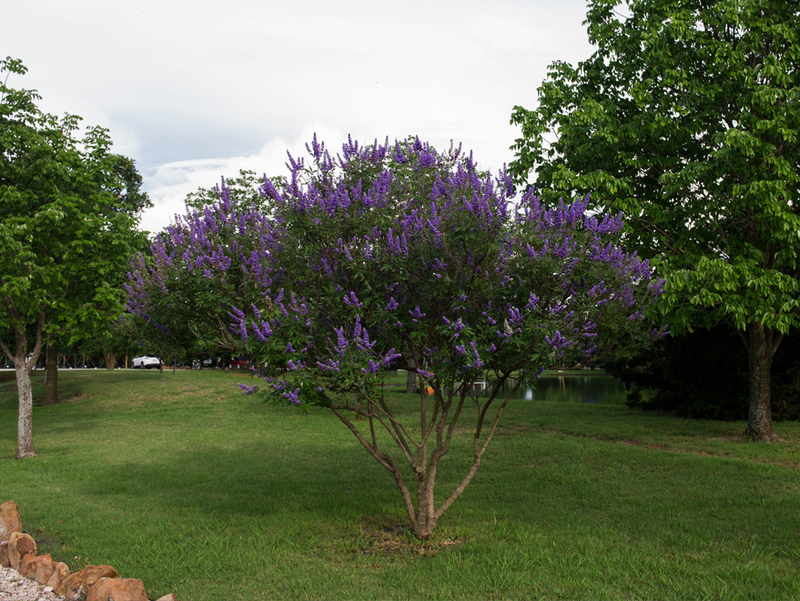 Each cluster of flowers that the Vitex produces has dense rings of lavender blue flowers and each cluster can range from 8 to 12 inches long. 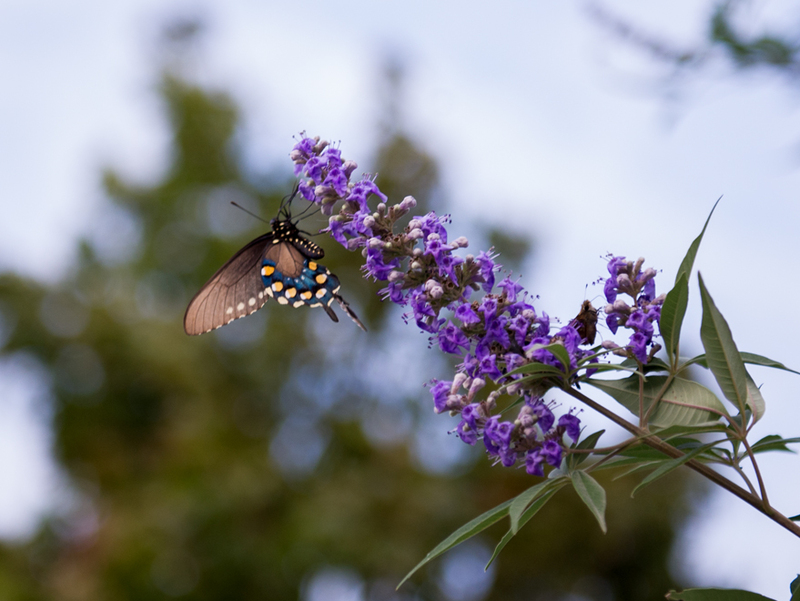 Vitex continue this process over several weeks until the clusters completely blanket the entire canopy which are relished by butterflies and hummingbirds. 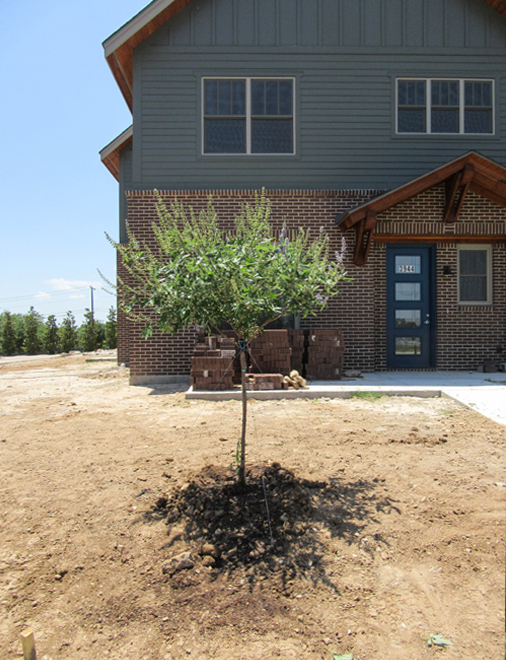 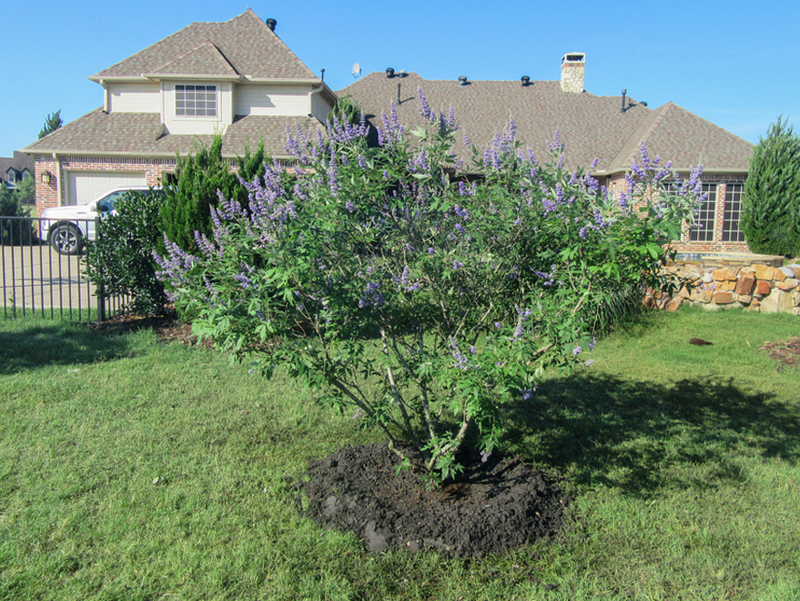 The Vitex can tolerate most soil conditions, provided they are well drained, and will flourish in full sun. 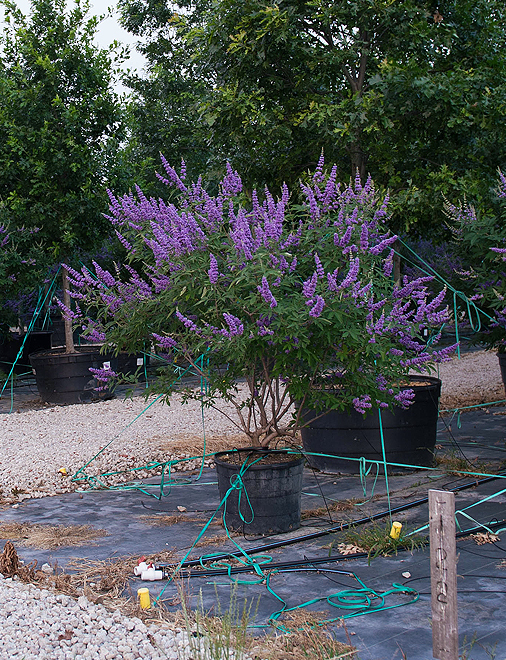 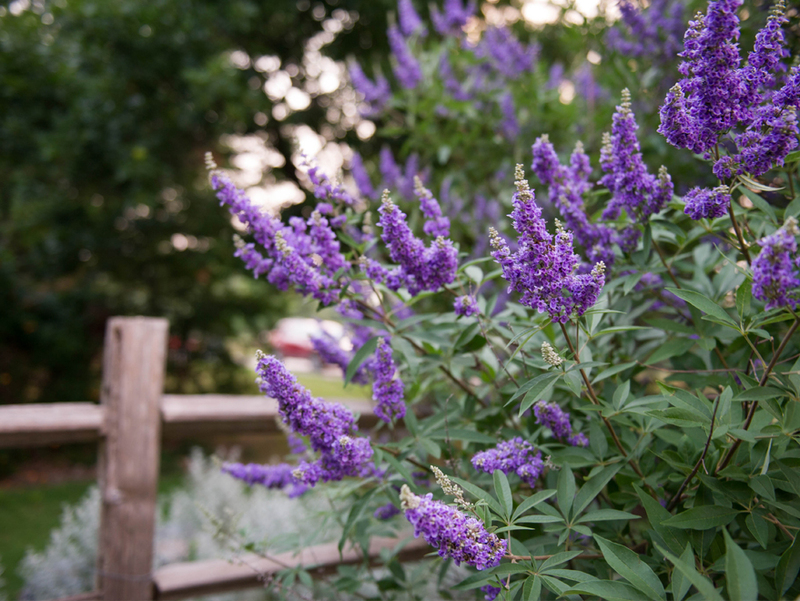 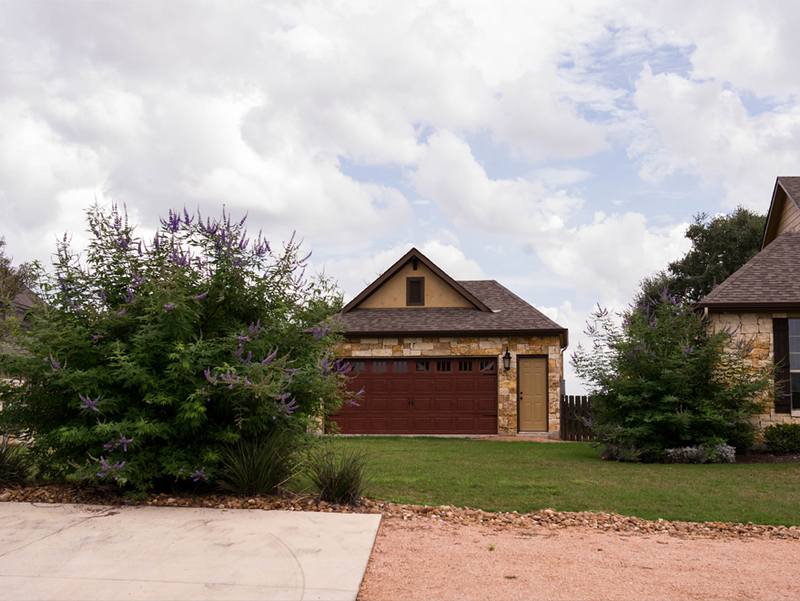 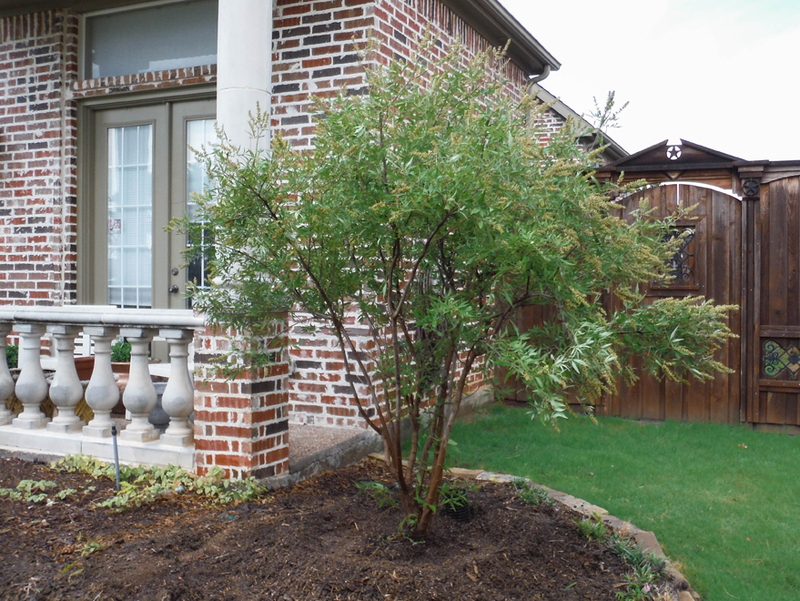 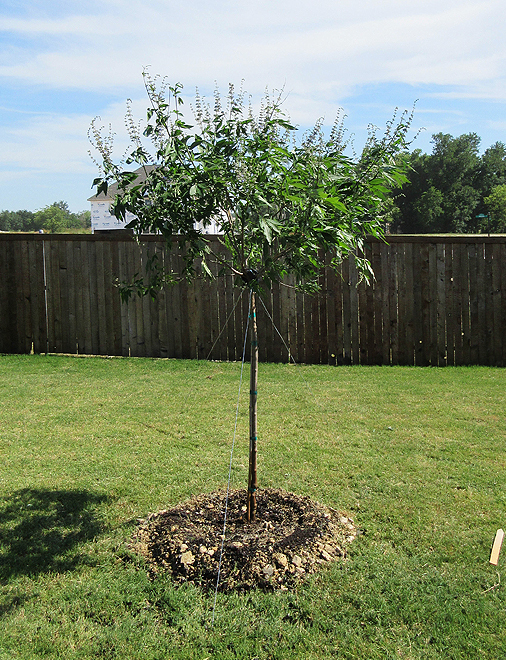 The Vitex is designated as a Texas Superstar Shrub by Texas A&M University.